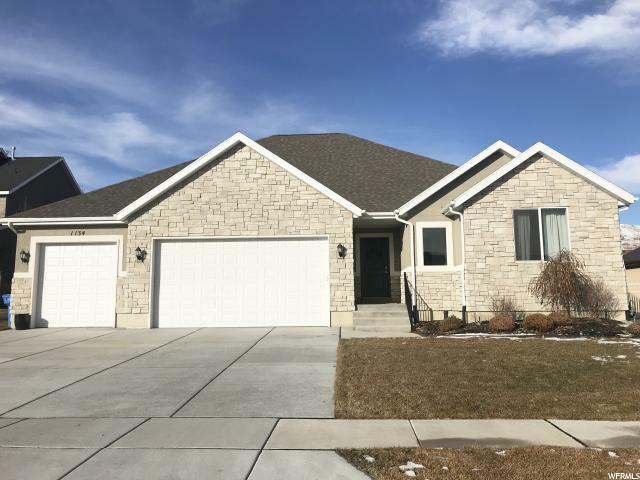 All TUSCANY VILLAS homes currently listed for sale in Lehi as of 04/18/2019 are shown below. You can change the search criteria at any time by pressing the 'Change Search' button below. "** GORGEOUS SOUTH FACING RAMBLER IN A CUL-DE-SAC ** Laminate flooring throughout main level, and tall vaulted ceilings. Open great room with spacious dining area. Quartz countertops, stainless steel appliances, and center island in kitchen. Gas fireplace with custom mantel in family room. Master bedroom with walk in closet. Master bath with dual sinks, large soaker tub, and separate shower. Basement is unfinished. Backyard mostly fenced with no backyard neighbors."